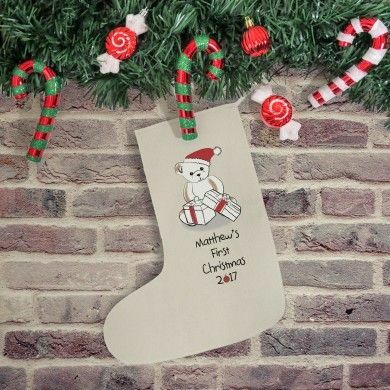 Personalise this cute Christmas stocking with a name of 15 character. 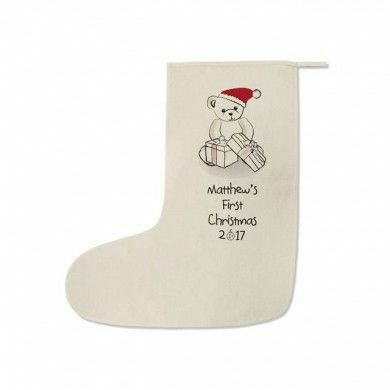 Made from 170gsm cotton, the stocking measures 57cm tall and 28cm wide, fully finished and with a hanging loop. Please note: 'Merry Christmas' is fixed text.